Joe Taraska graduated from the United States Air Force Academy in 1969 and was honored with the distinction of being selected as the outstanding cadet in law. Following that, he received his law degree at the University of Pennsylvania. He was then competitively selected for special training at the Armed Forces Institute of Pathology. He subsequently served as one of six forensic medical/legal consultants for the United States Air Force. In 1976, Mr. Taraska began a statewide litigation practice in Florida, specializing in the representation of healthcare professionals, hospital and other healthcare organizations and their insurers. He was a founding partner of Taraska, Grower, Unger and Ketcham, P.A. in Orlando, Florida. He served on the Bioethics Committee of Florida Hospital and as council to the CEO of the Adventist Health Systems/Sunbelt campuses in Central Florida. In 2009 Mr. Taraska joined Morgan & Morgan, P.A as a senior trial lawyer in complex litigation representing those who have been seriously injured by the negligence of others. His areas of practice include wrongful death, medical malpractice, nursing home abuse, defective products, defective pharmaceuticals, tobacco litigation, civil rights, health law, hospital law, hospital credentialing, hospital bylaws, hospital risk management, state medical licensure, and managed care.He is a member of The Florida Bar, The Pennsylvania Bar, The United States District Court, Middle District of Florida, The United States Court of Appeals, Eleventh Circuit and The United States Supreme Court. Mr. Taraska has written and spoken extensively. He is the author of the 1,500-page text, “A Legal Guide for Physicians” and various chapters including, “Death - Withholding and Withdrawing Life Support,” “Physician Discipline,” “Preventive Medicine for the Cancer Specialist,” as well as authored 75 articles in health law. In addition to his writing, Mr. Taraska has spoken throughout Florida and the United States. 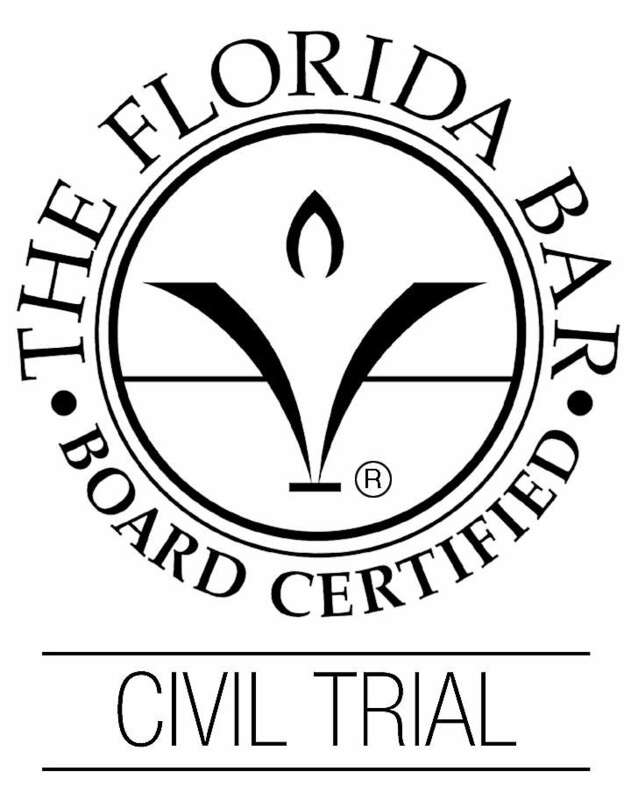 Mr. Taraska’s honors include being board certified as a civil trial lawyer by The Florida Bar since 1984. He has earned the highest national peer review rating “AV” and was selected as a Florida Super Lawyer by his peers in 2007. He is currently a member of The American Board of Trial Advocates, The Florida Board of Trial Advocates, The Volie A. Williams, American Inns of Court, The American Association for Justice, The Florida Trial Lawyer’s Association, and The Florida Bar.